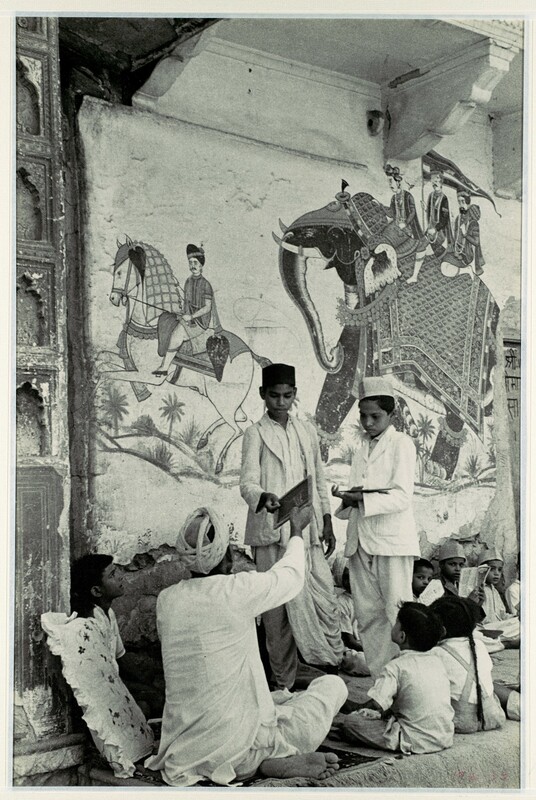 This photograph taken at the time of Indian independence, focuses on a small, everyday occurrence: a teacher instructing his students on the streets of Jaipur. The nature of the photograph exemplifies Cartier-Bresson's dedication to representing human dignity and to working as an unobserved observer, often anonymous in the crowd and using only a simple 35mm camera. The aesthetic of this photograph certainly evolved from his work in press photography, in which each image must tell a story in a single frame.